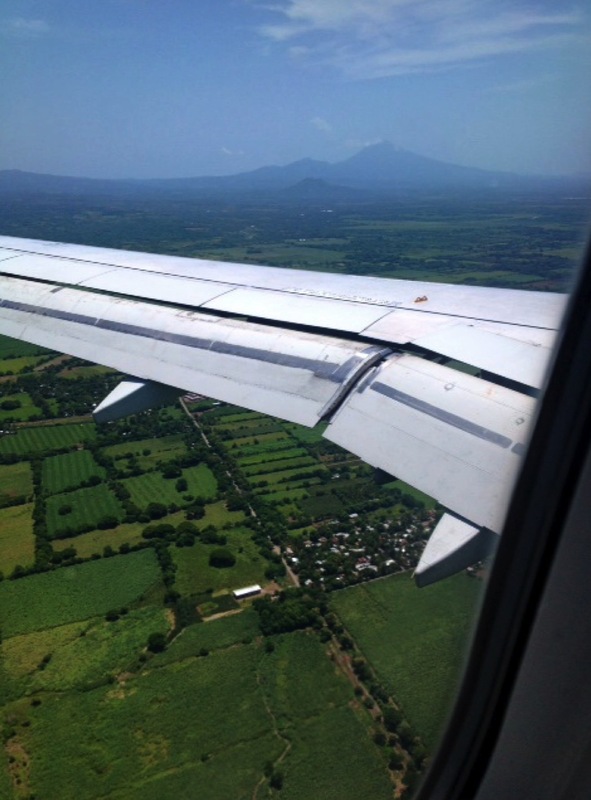 I couldn’t help but grab my camera when my plane began flying over the lush, green countryside of El Salvador. My last visit was during the dry season and while it was still very beautiful it was now so much greener than before. I was happy to be returning, especially since the two Fast Runners I would be visiting had requested help in Human Resources. Having retired three years ago after a 40-year career in HR, I looked forward to sharing my experience with these younger, high potential entrepreneurs. 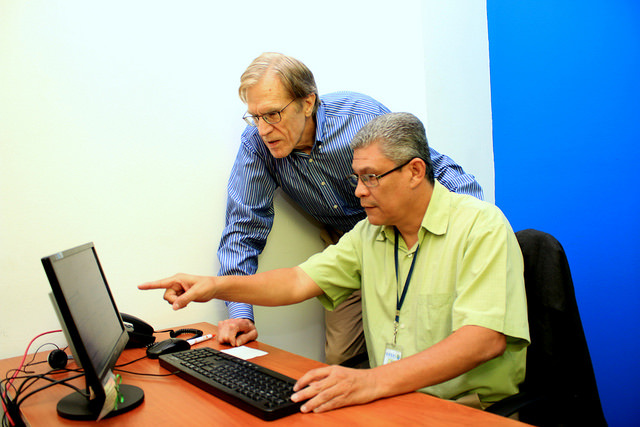 The jobs they create will help bring peace to gang-torn El Salvador. My first evening was spent with Andre, a Fast Runner who won a contest during his Bpeace trip to NYC. The prize was one free hour of consulting with me! We spent over two hours in a strategic conversation about his growing business, which manufactures vitamins and supplements. David and the Sevialca team. I spent the next three days with Jose, a Fast Runner who started a Company called Sevialca eight years ago. 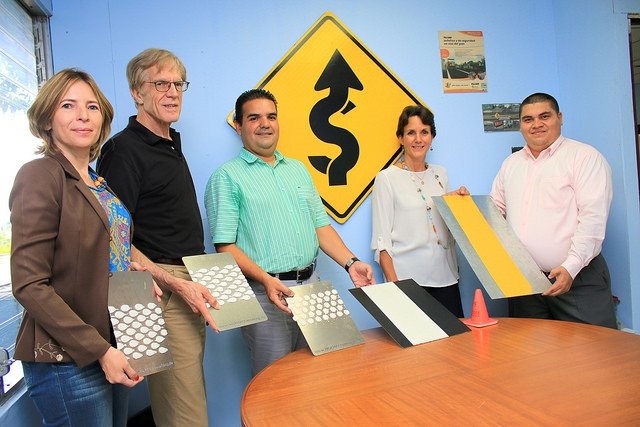 They apply stripes on many of the highways throughout El Salvador and Panama. He also makes the road signs seen along many of those same roads. Jose is a very innovative CEO who began his business by building his own striping truck that melts the striping product, then carefully applies the striping compound to highways. As Jose grew his business, he had little experience in HR. But he has a warm, “servant leader” style and shows great respect and compassion for his people. When six employees in his sign-making shop had difficulty finding a place to live he graciously allowed them and their families to move into his sign-shop building! While I greatly admired his generosity, I hoped we could establish a more codified, sustainable system for employee satisfaction and effective business management. Several weeks before my trip Jose sent a list of nine HR programs he wanted to discuss. These included such things as job descriptions, non-financial incentives, establishing sales goals, motivation, skills assessment, hiring process and goal setting. We were on our way to improvement! Jose began our visit by explaining his business and his financial data and talked about his upcoming purchase of a very high-tech computerized piece of equipment that makes highway signs using a robotic-like arm. He is the only company in Central America to currently have this type of equipment, giving him quite the edge. We then discussed at length his current organizational structure and by the end of the first day we had reshaped it to be more strategically in line with his future challenges and growth opportunities. The new structure identified the need to hire five new positions to strengthen the company’s managerial structure. The first to be hired was a Director of Human Resources who will then be responsible for overseeing the hiring of the other four positions and begin developing a professional Human Resources program. It was an exhausting day, but we all felt the new structure will take Sevialca to its next level of growth. Displaying Sevialca's latest road sign and stripe developments. During the following two days we discussed the remaining HR programs that Jose had initially identified. Our discussion on non-financial incentives was especially enjoyable, as Jose was very interested in how he can more effectively engage his workforce in company goals and improve their culture. We talked about holding group meetings to ask their ideas about what they can do better for their customers, employees and the company. We also discussed how management and co-workers can show appreciation to those who go above and beyond by building relationships or contributing innovative ideas. A discussion on improving morale lead to a decision to add picnic tables to the property so employees can take advantage of the wonderful Salvadoran weather. 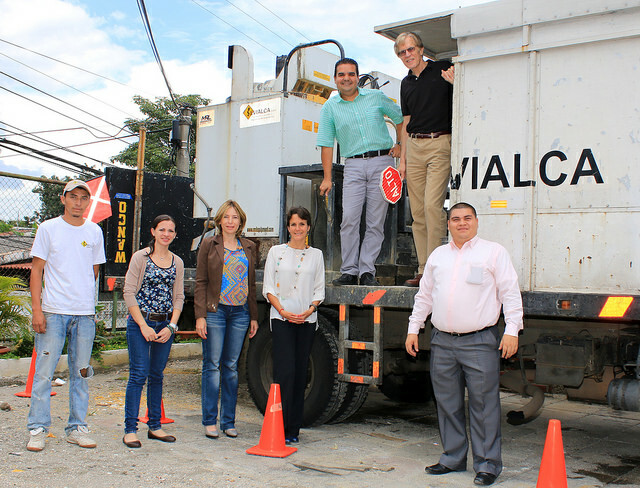 The Gesel management team and David tour the facility.It was gratifying to again visit with Claudia, a Bpeace Fast Runner who is the Director of Central Services and second in command at Gesel, a debt collection company in El Salvador. We talked about all the changes that had occurred since my last visit to their offices a year and a half ago. 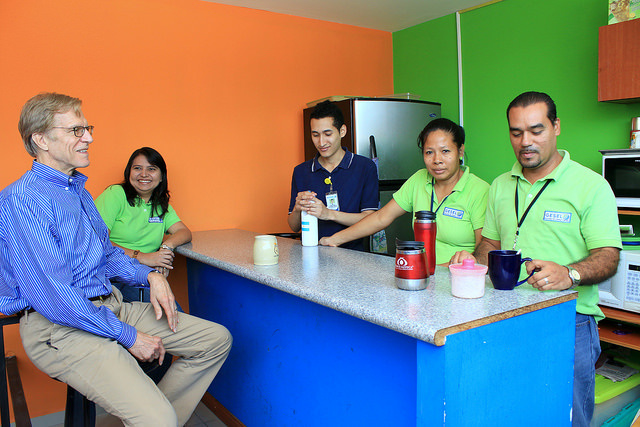 Since that time they have built a beautiful new addition to their main headquarters facility, opened an office in Honduras based on a request from one of their banking customers, implemented a new development program for future managers, increased their number of employees from 150 to 225 and installed a critical state of the art debt collection software system! As if that wasn't enough, during that same year and a half, Claudia married and she and Francisco are soon expecting their first child. This Fast Runner is truly amazing! With Claudia’s previous focus on many operational tasks she was now eager to implement several HR initiatives that would greatly assist their company. 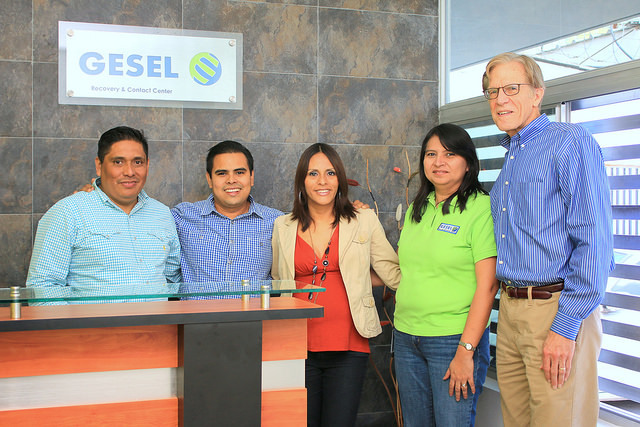 During the next two days I met with Claudia and Ruth, Gesel’s Manager of Human Resources and later with Miguel, Gesel’s CEO. We toured their new addition to the facility that had a number of employee-focused areas including a large employee break room, locker rooms, a large training room and new operating space to accommodate the great influx in employees. Observing Gesel's new state of the art debt collection software in action.Collecting bad debts via telephone can be a challenging job and employee turnover often results during the first year. We identified a number of ways to reduce that turnover, namely–implementing a careful screening of new hires to identify traits of successful, long term collectors, a training program to teach new collectors how to counsel debtors in finding ways to pay back their debts and conducting exit interviews to fully understand why an employee is leaving. We also talked extensively about implementing a new multi-level motivation and retention program that we called Program to Reward Outstanding Collectors in which collectors would be promoted to higher levels when they achieved very specific productivity requirements. Sharing a laugh and coffee in the Gesel break room. Gesel is also focusing on strengthening their management base with their new development program for future managers as well as training other levels of management. To assist in this effort we presented on-line resources that are available on the Internet. Another initiatve was a process to teach management how to set goals critical to the company’s success that could later be used in performance evaluations and compensation. Gesel continues to grow their business and their employee base. I am so pleased to see the progress they are making. On my last night I was invited to dinner by Fast Runner Josselyn and a friend. Josselyn runs a very successful company that sells and distributes vitamin supplements in El Salvador and Guatemala. I had worked with her a few months earlier when she came to New York City with other Fast Runners and visited several host companies in New Jersey. While my trip was extremely busy, I enjoyed every minute–it was well coordinated by the Bpeace team, with secured transportation, a wonderful hotel and the ever present Caribbean-like weather. Every lunch and dinner was enjoyed with a Fast Runner or a Bpeace representative in one of the many great restaurants in San Salvador. Safety was never an issue on either trip. Most public areas had security guards holding large guns providing a comfortable feeling in a country dealing with serious gang problems. 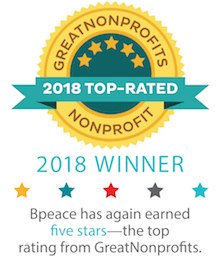 Being a Traveling Mentor is very rewarding and I encourage other Bpeace members to take advantage of this fabulous experience!